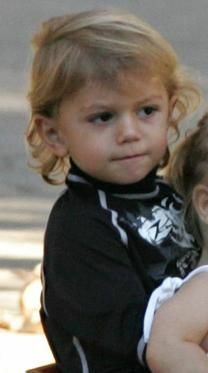 Kingston James McGregor Rossdale, just called of the names King or Kingston, was born on Friday the 26th May 2006 by caesarean in the Cedars Sinai Medical Centre in Los Angeles. He was born and everyvody knows that he is going to be very stylish. Kingston wears his first Nike Shoes at the age of 4 Months. He had a mohawk with 5 Months and he wears Gucci in the age of 1 Month. 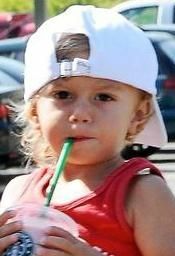 Isn´t he the coolest kid ever?! Surely, he is. His first playdate was with Brad Pitt&Angelina Jolies Daughter Shiloh Nouvel (She is one day younger than him ) and it seems like they are in Love. But 2 years later he was seeing with Spiderman Actor tobey Maguires Daughter Ruby Sweetheart and it looks like they wanna be together in 15 Years. Look that are they. They look so cute together! !